Living in the South, I've grown to appreciate everything about it. Okay, maybe not the 100 degree heat but I could go on about the charming small towns, Spanish moss, sweet tea, BBQ and hash, and being a die hard college football fan. So when my friend Lorin of Lorin Marie Photography asked me if I could do a South Carolina print and make it a cut out, I was all for it. I love how it turned out and it's one of my favorite pieces to date! Being featured on A Lowcountry Wedding was just the icing on the cake. Check out the rest of this romantic, dreamy shoot and all the talented vendors that made it possible. I absolutely love how dreamy and romantic this styled shoot is. The details truly does make it all come together. So grateful to have been a part of it. Head on over at The Celebration Society to check out the rest of the feature and for the super talented vendors that all took part. This Gem Inspired Bridesmaid Luncheon that Lauren Carnes Photography and Chancey Charm Weddings collaborated on was such a dream. So much eye candy with bold colors. I am so thankful I was able to be a part of it and contribute gold calligraphy. You can check out more of this Bridesmaid Luncheon feature at Grey Likes Weddings. That one time a creative workday with some amazing boss ladies turned into a fun mini Galentine's Day photo shoot featured today at Best Friends for Frosting. 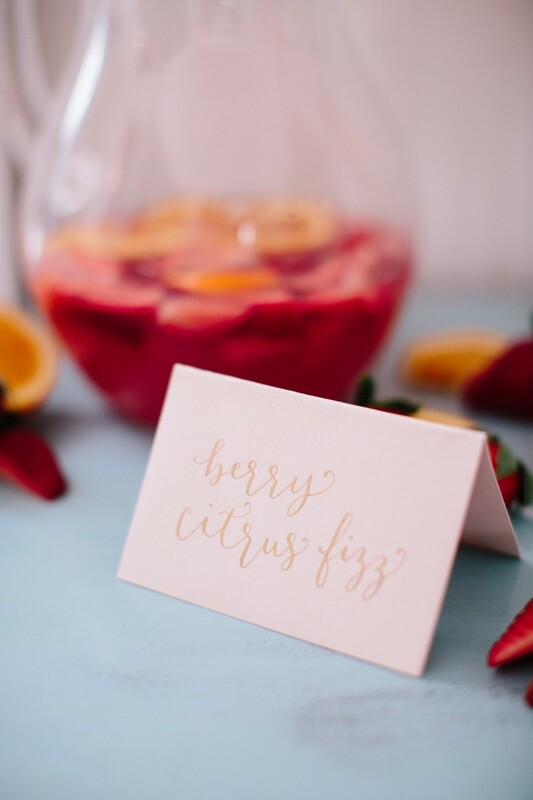 Make sure to check out the full post for the Berry Citrus Fizz cocktail recipe and see the rest of shoot. I'm excited to be closing out this year with a feature from Magnolia Rouge. I have been so blessed to be able to work with such talented ladies this year. I am in love with the colors of this Gilded Woodlands inspired elopement. Check out more of this dreamy shoot at Magnolia Rouge.